Gator XUV 560 – Our New Toy! 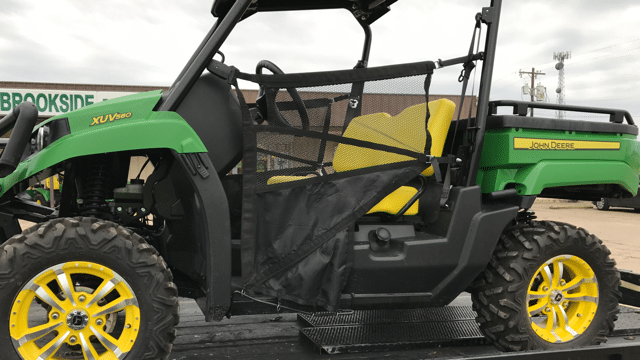 We have been wanting to upgrade the lawn mower cart to a motorized UTV and looked at a lot of machines before choosing the John Deere Gator XUV 560. We looked at all of the machines in this class including the Yamaha, Arctic Cat, and of course the Polaris Ranger. There is just something about a Deere. So we went with the gut and chose the UTV or XUV as Deere calls it. 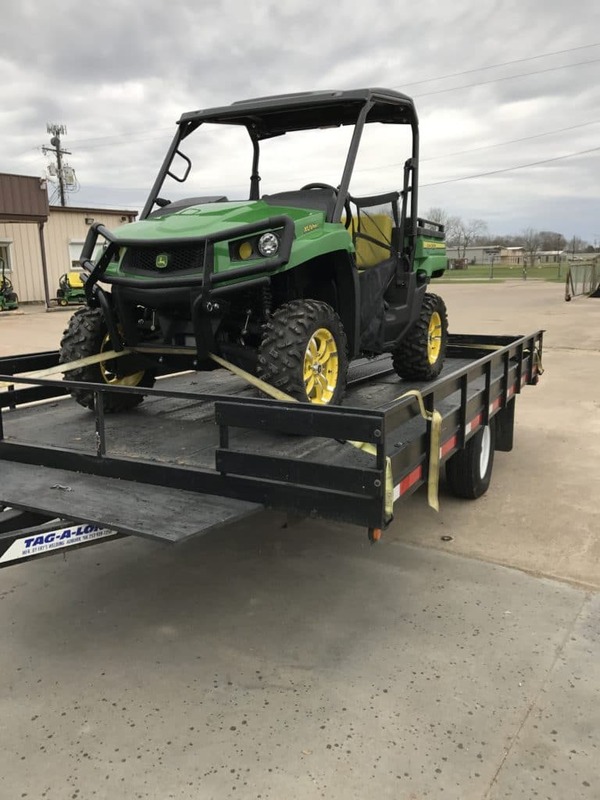 I know there are some that like the other models better but our experience with both John Deere the brand, and the staff of our local John Deere dealer made choosing the Gator XUV 560 a no brainer. Gator XUV 560 on the way home! The first day we used it, it held up to filling the bed with timber and logs. Loading burning piles going on the land we are clearing and the Gator helped with that. We bought the property next door, and needed a workhorse to help get the clearing done. The bed was really easy to use and the one handed latch on the tailgate made opening the tailgate a breeze. Day 2 found the Gator XUV hooked up to my 22 ft bay boat. It had no issue pulling it out of the shop so that I could work on the boats GPS. It pulled it out with very little throttle. The Gator backed it in just as easily. This thing is really easy to maneuver with a load on it. I also moved around a 16ft utility trailer and was impressed with the ease at which the Gator XUV 560 performed. Next Post Stump Grinding – Should I rent one?